March already! Flowers blooming and birds nesting – love it! This month I will be taking my spring break from Monday 3/25 to Friday 3/29 which is the same time at Durham Public Schools Spring Break. I had to move it from after Easter because Easter is so late this year. Hope that does not inconvenience people too much. So Monday, Tuesday, Wednesday and Thursday fees in March will be for 3 weeks; Friday fees will be for 4 weeks as 3/1 falls on the friday. I did go to the Duke concert last Sunday 3/3/19 and I am sorry if you missed it. The two works performed were just wonderful. Phillip Glass’s Itaipu is very powerful with huge orchestra and choir – I love that fact that Durham can assemble such resources to perform these big works. The second work was even more amazing. Eric Whiteacre’s “Deep Field” described in abstract music what the Hubble telescope saw when it looked into far away galaxies. Baldwin was packed and everyone had downloaded the Deep Field App and we all cued up our smart phones, and turned them on at measure 274 when the conductor indicated it was time to do so. The effect was entrancing. You felt like you were in space seeing millions of other suns and planets just like ours. You can download the app and try it out but not with all the orchestra and choir sadly. I am really happy that a number of students (and parents!) and playing duets. It is so important for counting the time and for feeling like you are making music together. Am going to try to have a duet get together maybe the friday afternoon before the Spring Break but I will talk to students and parents separately. Don’t forget about the Playathoon April 13 from 2:30 – 3:00 at Northgate Mall – am hoping to have lots of duetists! I hope everyone is doing well in spite of flu, and the weird up-and-down weather. I have moved the Adult Work-in-progress night at my house to Friday March 15 from 7:30 – 9 pm. Will email adult students separately to importune your attendance! The previous Saturday March 9 from 3:30 – 5 pm, the Durham Music Teachers Association is holding an adult student recital at Croasdaile Village Chapel. It would be great if some of my adult students were interested in playing at this event and I will ask in lessons. Anyone post high school can play and memorization is not required. On April 13, the DMTA is holding another playathon probably at Northgate Mall but the venue will be firmed up when we know what is happening to Northgate. My time slot is 2:30 – 3:00 pm. I would like to highlight all my duet players at this playathon. Duets could be piano or piano and ukulele, or vocal duet? Will be talking to students in lessons. Remember the playathon raises money for DMTA Scholarships. I think this year I am going to take my Spring Break when Durham Public School break from Monday March 25 – Friday March 29. I usually take my break after Easter but Easter is very late this year, and too close to exams. It is possible that my bathroom will be being renovated that week so would be good not to teach during the demolition phase! I am not sure if all schools are taking that week off but I would be glad to know if this break works for most parents and students so let me know. I am very happy that more song writers and composers are emerging! Leo has an amazing song coming along and Oscar has a piece called The Singing Tiger for piano. Ben is promising to write another song to add to his collection of dog songs. Talk to me about more composing please students. It is not time to gear up for the Spring Soiree yet but it should be in the back of everyone’s mind – the date will be Sunday June 2 from 3-5 pm at Croasdaile Village Auditorium. I know the piano is not terrific and I am working on trying to fix this problem but it is such a great venue and I have been having concerts there for so many years now. The Spring semester has begun well and February is almost upon us, like tomorrow! Thank you so much to all the students who participated in the DMTA (Durham Music Teachers Association) Playathons last year. We raised enough to be able to give 4 scholarships to students in reduced circumstances so they can continue music lessons. One of my students is a recipient of a scholarship this semester. There is another playathon at Northgate Mall (hopefully, provided it is still in existence) on April 13, and my time will be 2-2:30 pm. Please consider coming to play to help your fellow students. This coming Sunday 3 February there will be a Classical Voice Master Class from 3-5 pm at Croasdaile Village Chapel (where we have our Soirées but in the Chapel not the Auditorium). I am the DMTA Chair for this master class. 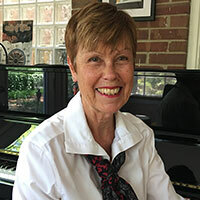 There will be 4-5 singers and the clinician who will give them feedback is Marion Pratnicki, wonderful and very fun voice professional from UNCSA. All are welcome – you can learn a tremendous amount about the voice from attending these master classes. Several new students have started music lessons this year so welcome to new students and parents. I now have a waiting list of 8 students and I wish I could accommodate them but my studio is really full. My website is up to date and you can check the schedule and events there (www.flourishingmuse.net). I am going to try to put up more videos this year. Seems like there is so little time but that is not quite true. You can always make time for things that matter! So happy last Sunday to get in a luxurious 1.5 hours of piano practice. The Spring Soirée will be June 2 at Croasdaile Village Auditorium. These are very important occasions to set goals for students to polish one of their pieces and you can already be thinking about what you might play. I am working on duets with quite a few duos. I also want to encourage student composers. We had Ben in December with his songs for dogs, but we need more songs and original pieces. I am also planning an adult work-in-progress evening for 1 March. That might be a tiny bit early so watch the newsletters for possible change but adults, it is coming so you need to plan your pieces. “I shall build an Arpicembalo!” stated Cristofori excitedly. The year was 1698 and his new invention literally translated means “harp-harpsichord”. It would be a new instrument that would sound like a harp and have keys like a harpsichord. Harpsichords have plucked strings but this new invention would have mallets that strike the strings. It was described in the inventory of the Grand Prince Ferdinand de Medici, his employer as ‘an instrument that could produce both soft and loud tones with 2 sets of strings at unison pitch having a cypress soundboard’. Needless to say, the Arpicembalo name didn’t last but rather, the function described the instrument. It would forever be known as a piano-forte or a soft- loud. Over time this truncated to simply, the Piano. Thanks always to all students and parents for choosing to learn music with me in my studio, Flourishing Muse (we are all each other’s muses!) I am grateful to be able to earn my living teaching what I love in my own comfortable home. When I take holidays I really miss all the students who enliven my life! I am excited to be seeing my students again on Monday. I have heard from a few people to assure me that they are continuing and I am going to go ahead and assume that the rest of you are also continuing because I have to set up my screens this weekend. If you are not returning please let me know as soon as you can. Just a reminder that fees are due from Monday and my new fee schedule is $32.50 a half hour. I will calculate the monthly amount in your email. Monday students please factor in Martin Luther King day 1/21/19 if you are not coming to music that day. I will be teaching for those who want to come. If you have time please try to come to Chelsea Daniel’s concert tomorrow night at Croasdaile Village Chapel at 7 pm (see details below). Adult students who come to lessons on Friday, there will not be lessons Friday February 1. Sadly I have a major dentist appointment in the morning and last time I should have taken the day off but didn’t and probably did not make a lot of sense that day! My ex-student, Chelsea Daniel, is back for a few short weeks and is in practice for her recital this coming semester. To give her some performance experience, I have arranged for her to give a short concert at Croasdaile Village Chapel tomorrow evening (Saturday 1/5/19) at 7 pm. The concert will only last a short time, maybe 40 minutes. Chelsea will start with two short Nocturnes by Poulenc, numbers 3 and 7. I love Poulenc’s piano music, so playful and whimsical and very French. She will then play the first two movements of a piano sonata by Florence Price, an African American composer whose work is only starting to attract serious attention after years of obscurity. She had three strikes against her – maybe four. She was black. She was female. She wrote “classical” music. And she was from Arkansas. Born in 1887, young Florence played in a recital at age 4, had her first work published at 11, and was high school valedictorian three years later. I did not know that she wrote over 300 pieces of music including a piano concerto which was performed last year in Chapel Hill – I wish I had known! She was a prolific composer who incorporated influences of Spirituals and Jazz into her very well-written music. Please come and hear Chelsea play if you have time! It is the same village where I have my Soirees except not in the auditorium but int the Chapel. Chelsea was my piano student for a short few years and then she won a place at the UNCSA in Winston-Salem where she studied piano for her last three year of high school. She is now in her third year at UT Austin Butler School of Music. Her teacher is Andrew Brownell. She hopes to specialize in the music of Florence Price. 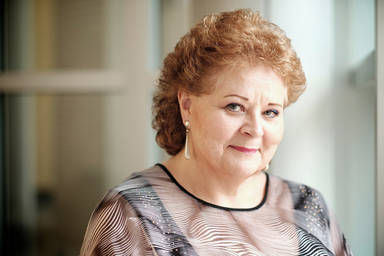 The Durham Music Teachers Association is proud to host a masterclass given by critically acclaimed American mezzo-soprano Marion Pratnicki; she is on the voice faculty at University of North Carolina School of the Arts. A master class is an opportunity for students to perform in front of an audience and to work with a clinician. The clinician discusses and addresses various aspects of performance and studying, such as musical expression, technical challenges, practice strategies, and more. The audience learns from the clinician through observation. This is such a wonderful opportunity for voice students to experience feedback from a singer who is active in public performance. It is also a great opportunity for teachers to observe and questions. The Chair for this masterclass is DMTA member, Lorna Collingridge. This master class is for students age 15 and older. There should be room for approximately 6-7 students, and initially each teacher may submit two students. However if we do not have enough students, teachers may be able to submit an additional student. Please email your submission to lcollingridge@gmail.com no later than January 25 and you will be notified by February 1 if you are able to submit an additional student. The masterclass is open to intermediate as well as advanced students. 2. Student name, age, and level. 4. Teacher e-mail and phone number. All DMTA Masterclasses are open to teachers and observing students free of charge. Croasdaile residents, parents and friends, and other invitees are also welcome free of charge. 5. Students need to provide their own accompaniment at the master class. There are going to be many important items in this post so please read to the end. First, I hope you all have a wonderful joy-filled, safe and happy holiday – we all surely need a break. I hope peace breaks out all over the world and especially in the Americas. Thank you all for choosing to learn music with my studio, Flourishing Muse. I will be taking a two week break after this week. Lessons will resume Monday January 7. During my break I will be setting up my 2019 schedule so it will be important that you let me know if you are continuing and if you are OK with the time you have had in 2018. A few people have made requests and I will try to accommodate them. If you are not continuing would you let me know as soon as possible because my schedule is very tight. If you want to remind me about your scheduling request that would be good because my notes are a bit messy! The lesson times after 5 pm are very sought after. I just want to remind everyone that I do not teach after 7 pm or on the weekends. Click on the Spring Schedule to see available times. The Fall semester seems so short and that is because it is compared to the Spring semester (January to June). I will be taking a break around Easter Sunday which is April 21 in 2019. The Spring Soiree will probably be on Sunday June 2 in 2019. Owing to increased expenses like property taxes, electricity, gas, internet and phone, as well as printer ink (pretty outrageous! ), I am going to raise my fees to $32.50 a 1/2 hour lesson and $65 for an hour lesson. I am sorry if this causes hardship and I am happy to apply to the Durham Music Teachers Association for scholarships for needy families. I will still offer 10% discount for 2 or more learning in the same family. Many teachers charge students for participating in the yearly student recitals but I do not, and many teachers also make an extra charge for photocopying or printing music but I do not. I sometimes buy music digitally on-line and mostly do not charge students for this except when it is something specific that I cannot use elsewhere, otherwise I am happy to pay the cost. I also carry over fees when lessons are missed from illness or weather, and I think I am fairly generous about this, forgiving the odd forgotten lesson. Raising my fees allows me to continue to offer these services. I hope everyone understands! I also want to say how amazed I am by my students’ progress from eight year olds confidently accompanying Christmas songs on Ukulele to Sopranos taking on the Queen of the Night aria. Can’t wait to see what everyone is going to accomplish in 2019. So thank you all for choosing to learn music with Flourishing Muse studio. And hasn’t it been great to have my new room for parents to wait in – I love that!